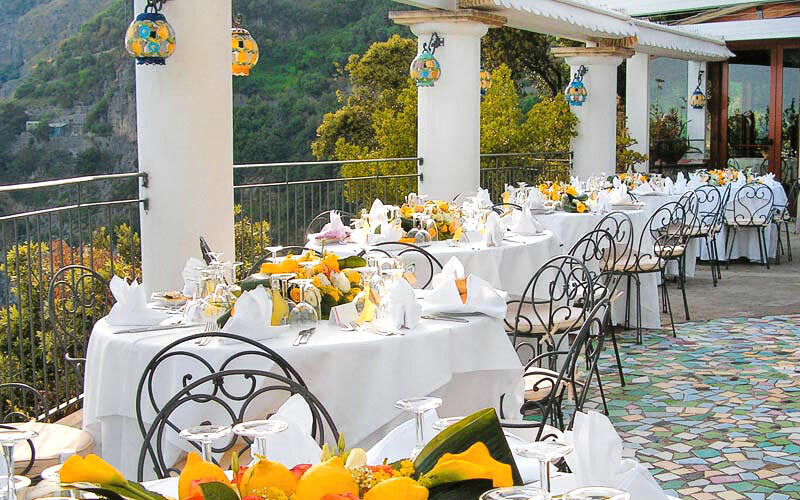 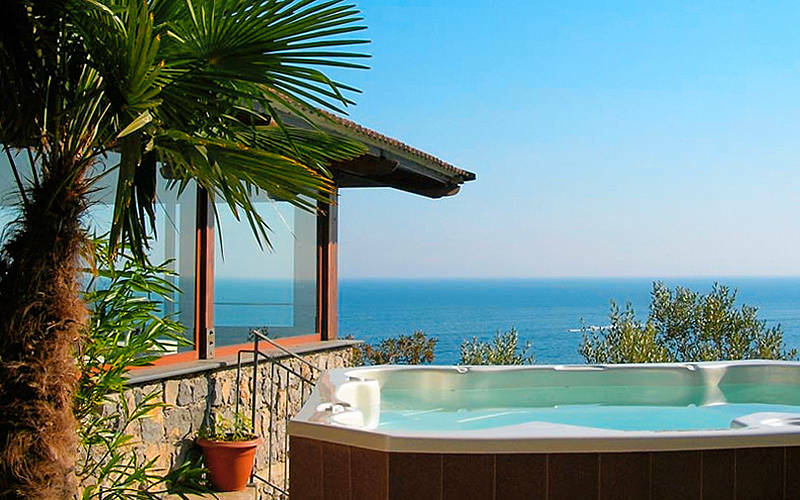 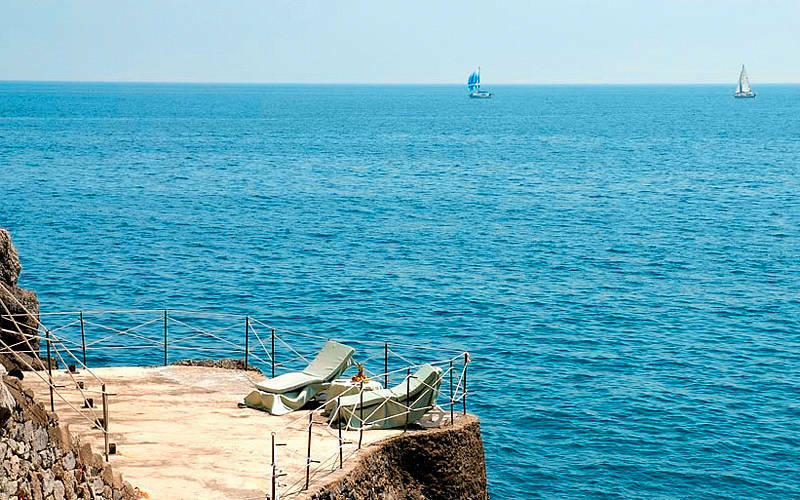 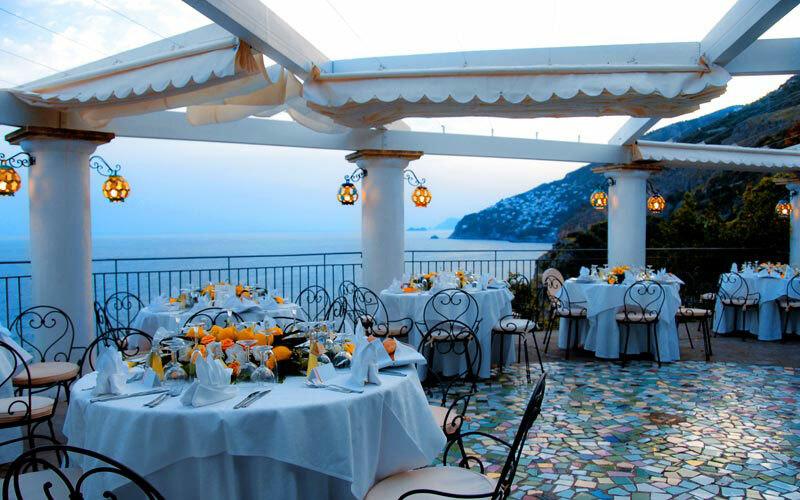 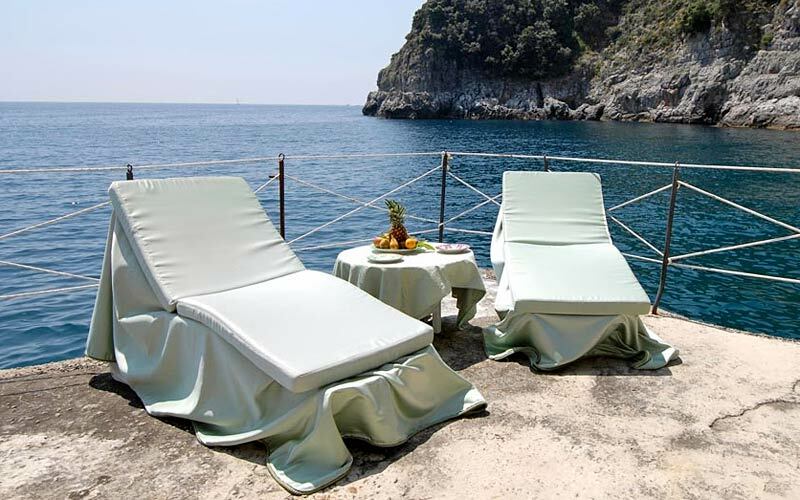 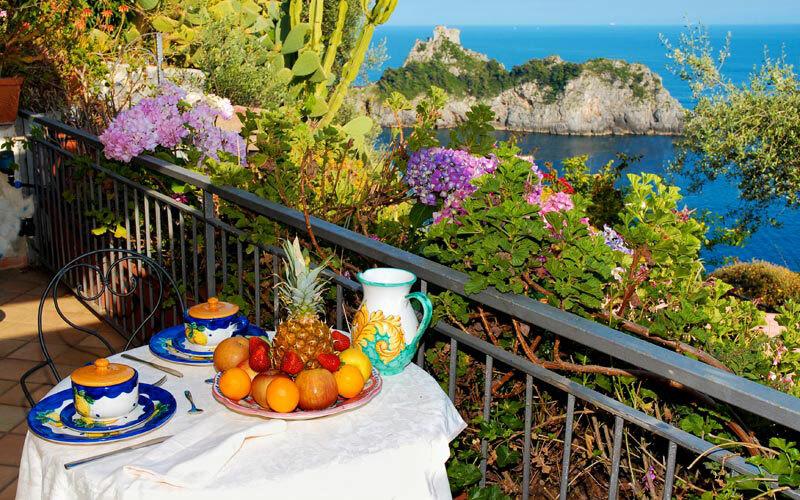 Ever since the early 1950's, Hotel La Conca Azzurra has represented all the things that discerning travelers love most about the Amalfi Coast, offering an unbeatable combination of elegant accommodation, sweeping sea view terraces, delicious local cuisine and sun decks situated directly above the water. 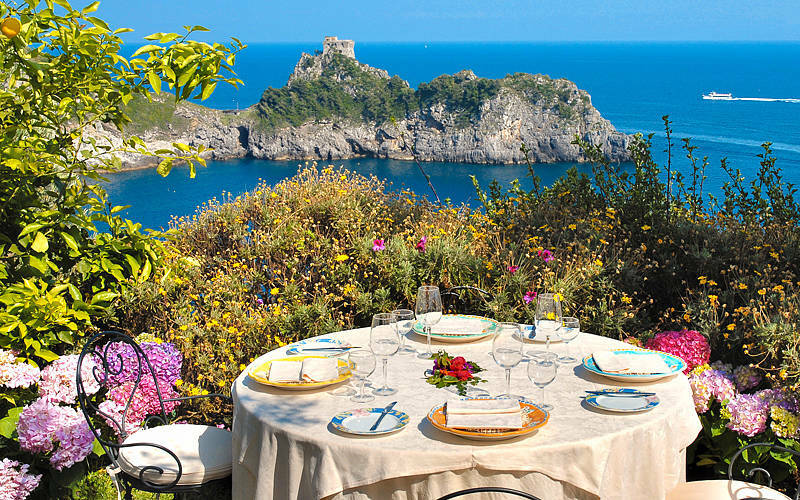 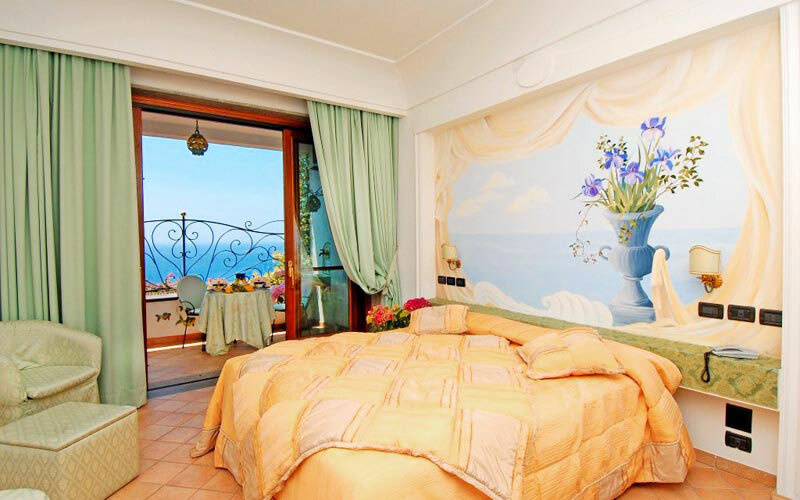 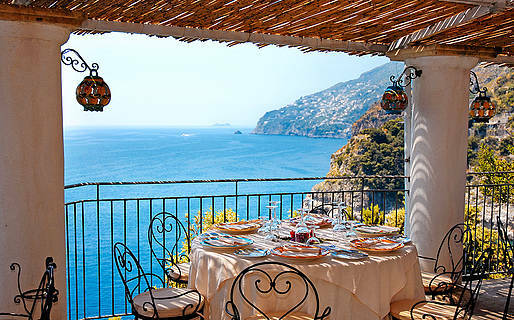 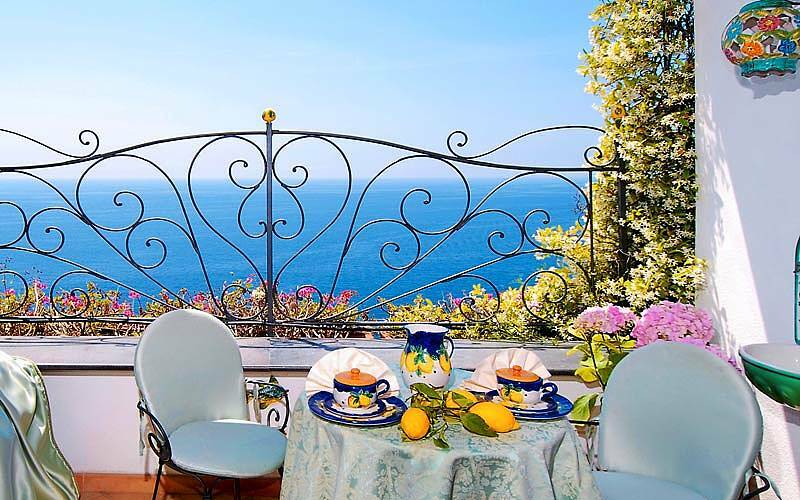 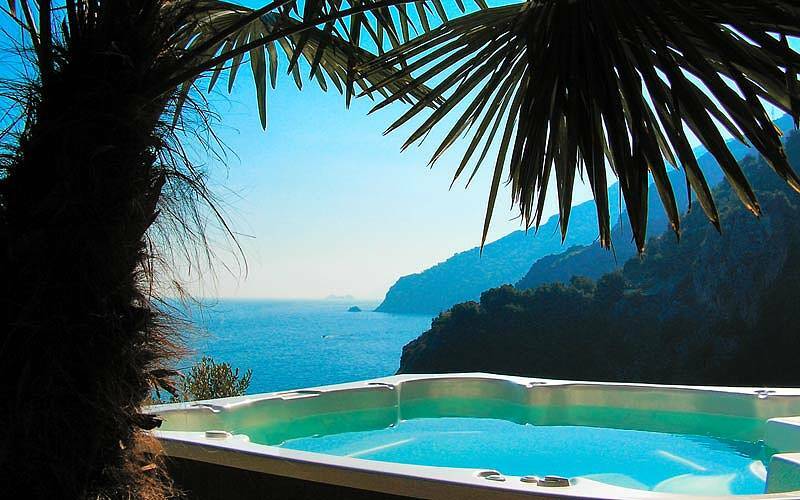 Perched on the cliffs of Conca dei Marini, one of the prettiest of the Amalfi Coast's historic fishing villages, this intimate, 18 room hotel provides an enchanting coastal retreat and the ideal choice for a relaxing holiday by the sea... all this within easy reach of the celebrity-packed Positano and Amalfi. 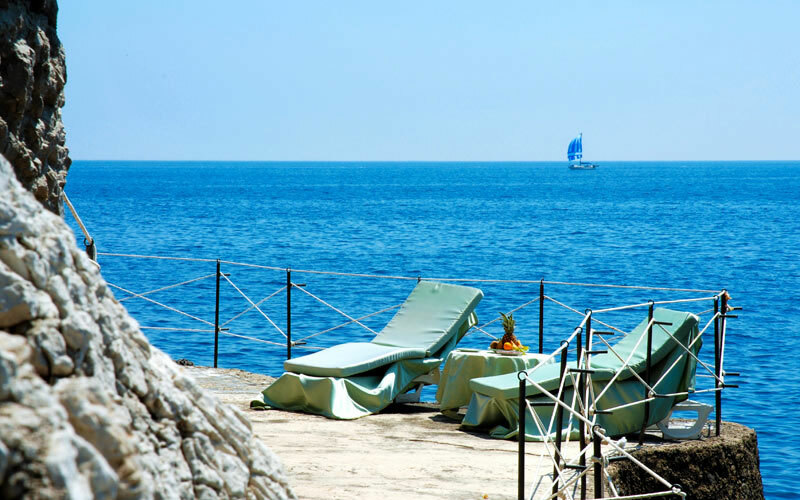 La Conca Azzurra's private beach is one of the boutique hotel's most loved features. 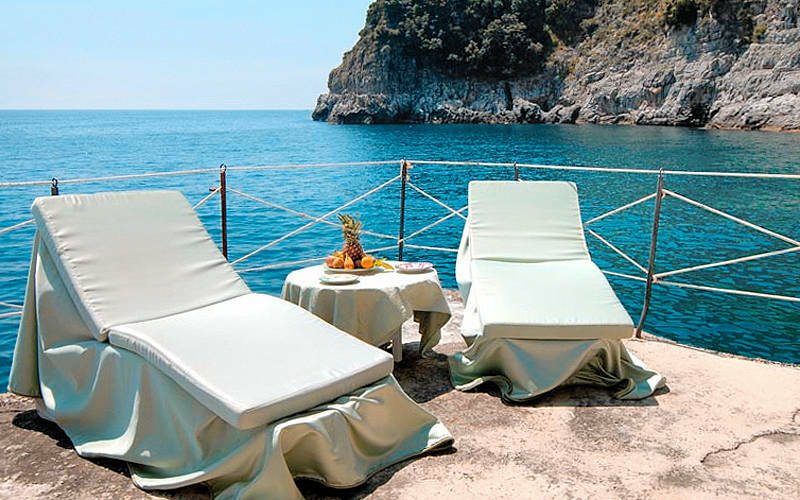 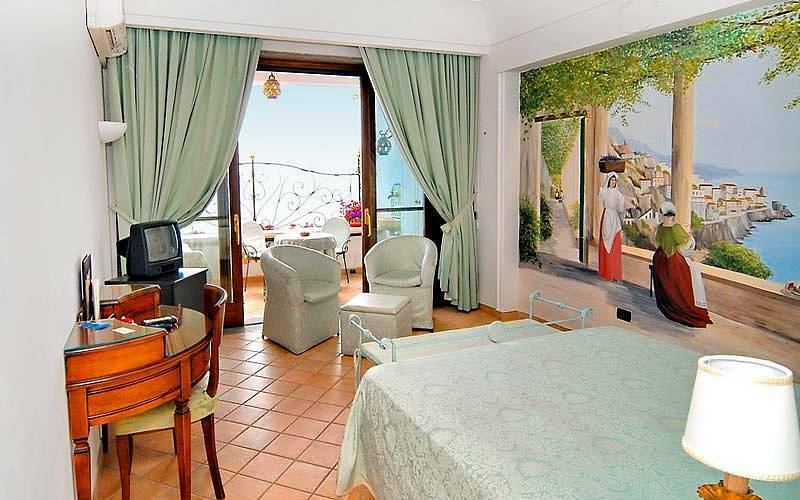 An attractive pathway through hotel's fragrant Mediterranean garden leads all the way to the sun decks built into the rocks, from which guests can safely dive in to the wonderfully warm waters which wash the Amalfi Coast. 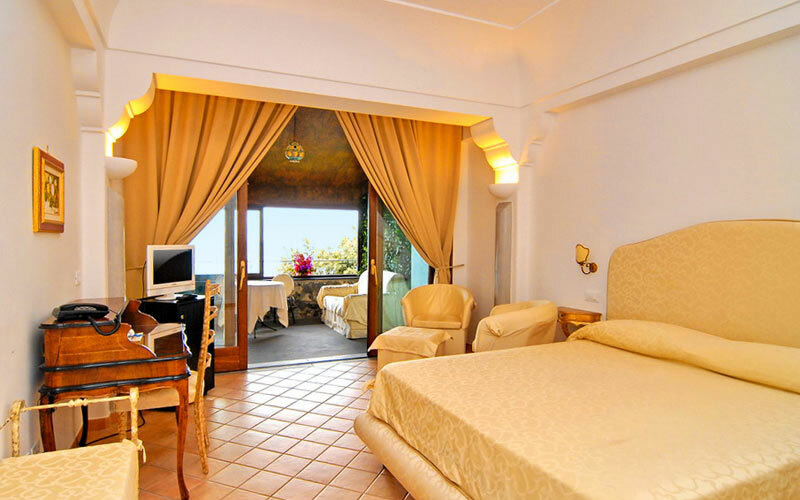 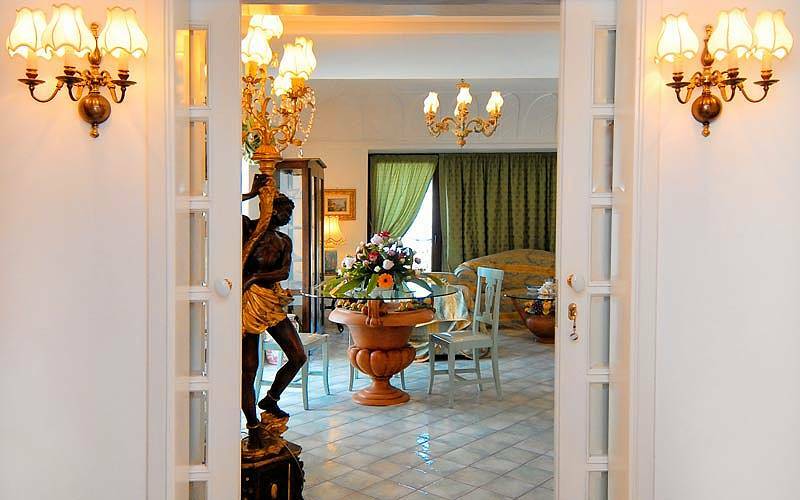 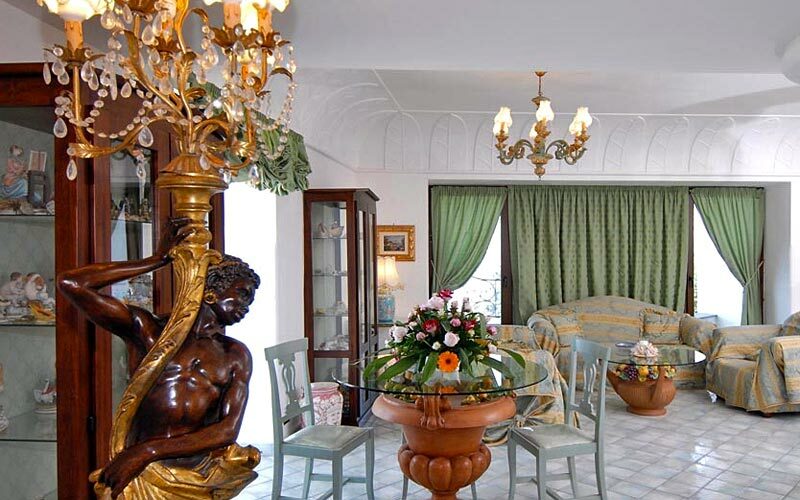 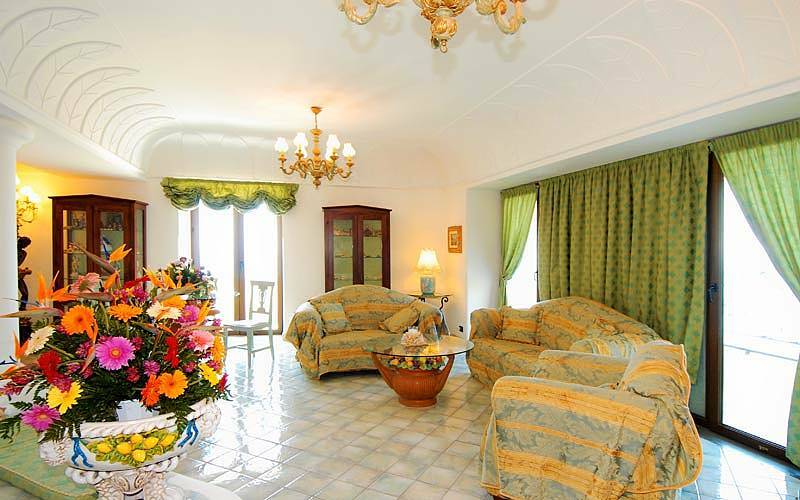 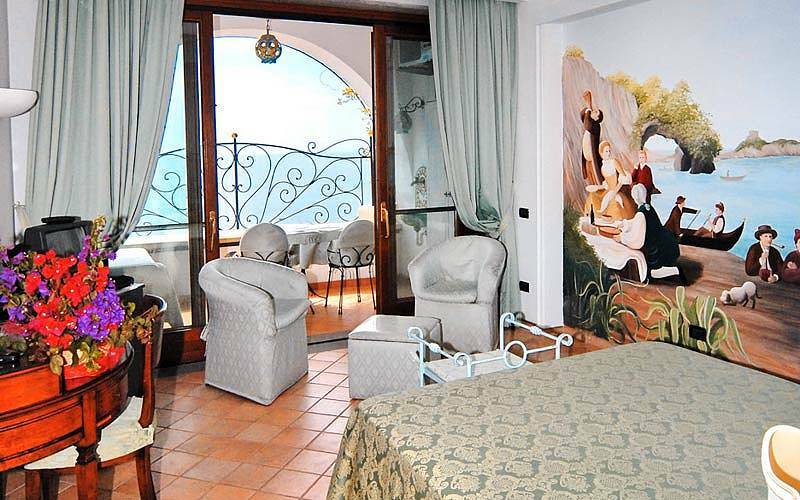 Rooms and suites are furnished in classic Italian fashion, with exquisite items of hand crafted furniture and floors in traditional Neapolitan terracotta. 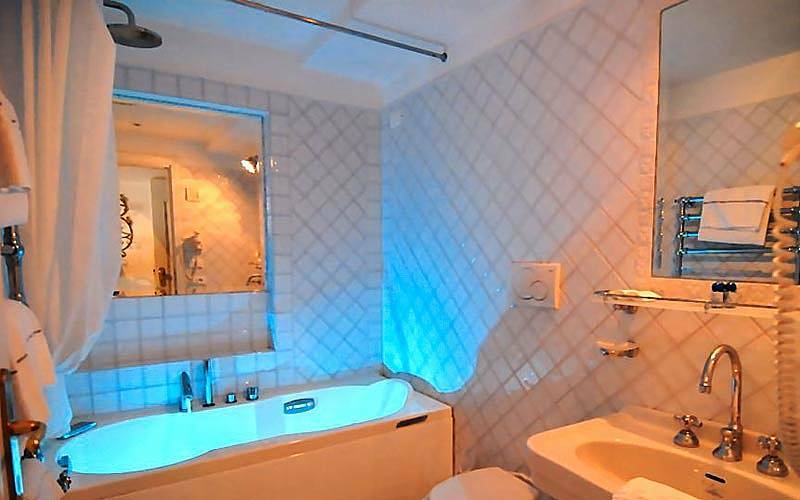 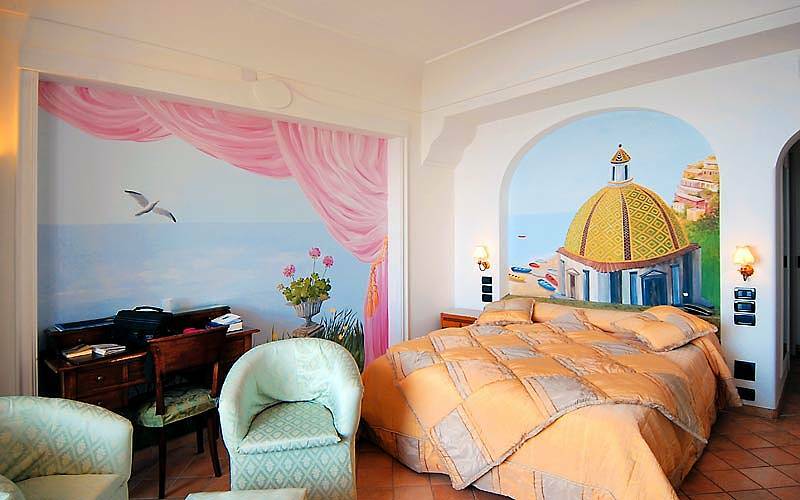 Impressive works in trompe l'oeil embellish the walls of the bedrooms whilst, in the bathrooms, tiles in hand-painted majolica provide a vibrant splash of color. 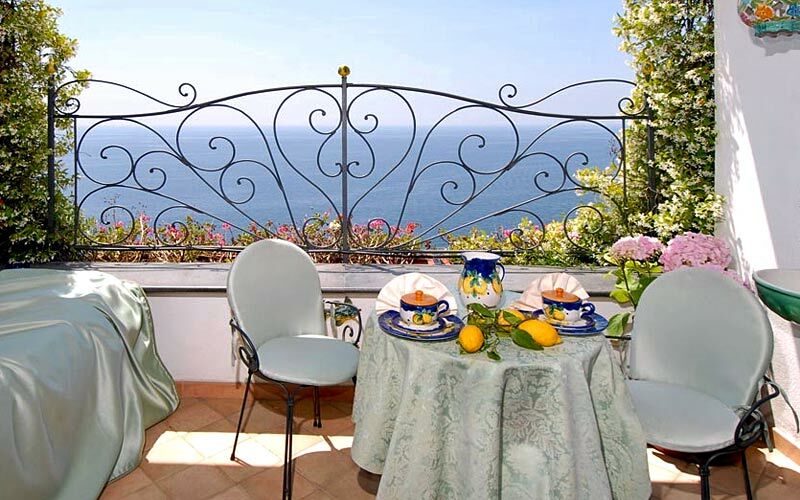 All rooms have a balcony, terrace or veranda with view of the sea. 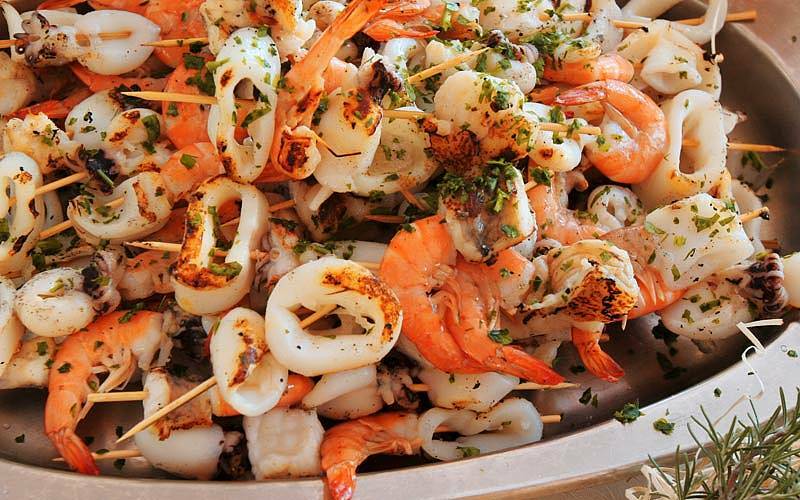 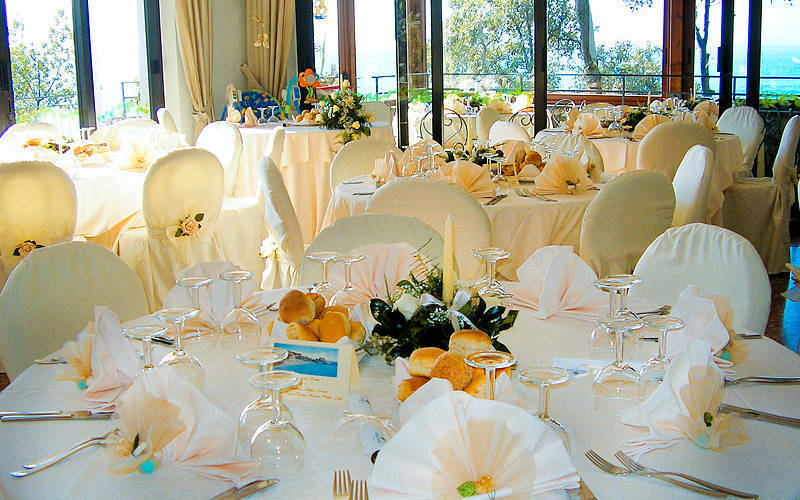 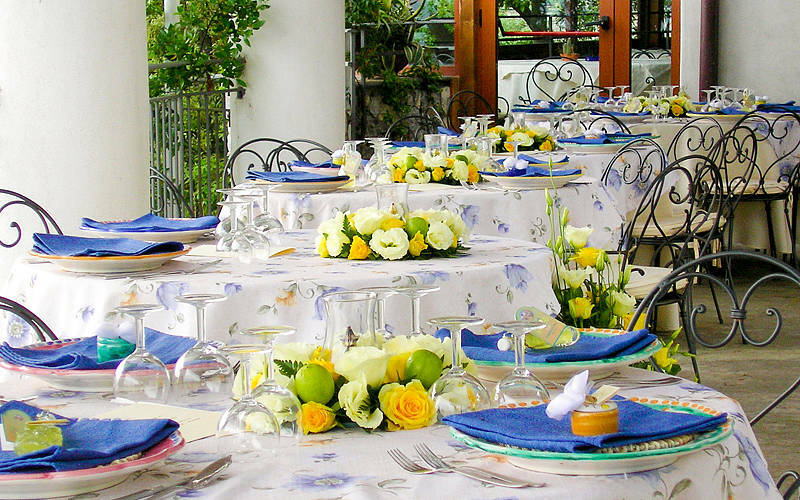 An idyllic venue in which to enjoy a romantic candlelit dinner, sumptuous banquet, or unforgettable wedding reception, the hotel's fabulous "Calajanara Restaurant", serves the very best local cuisine. 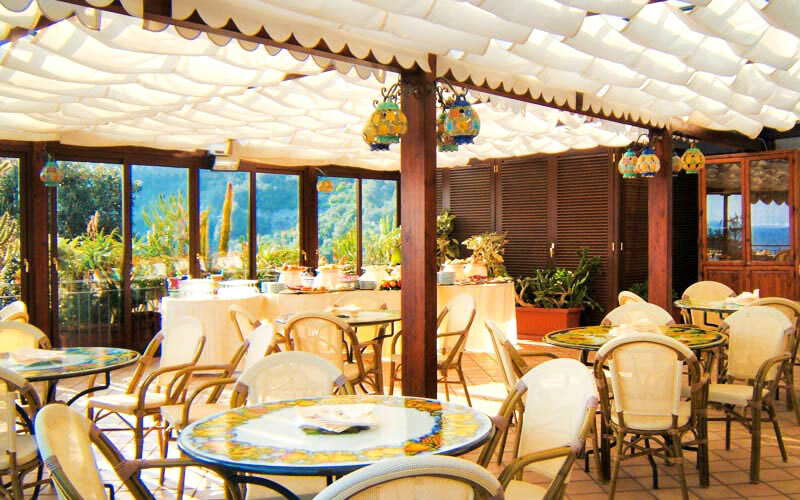 The hotel's "Orangerie" was conceived as an elegant Winter Garden, in which to enjoy an aperitif, a cocktail or, an excellent cigar, this last available after dinner only. 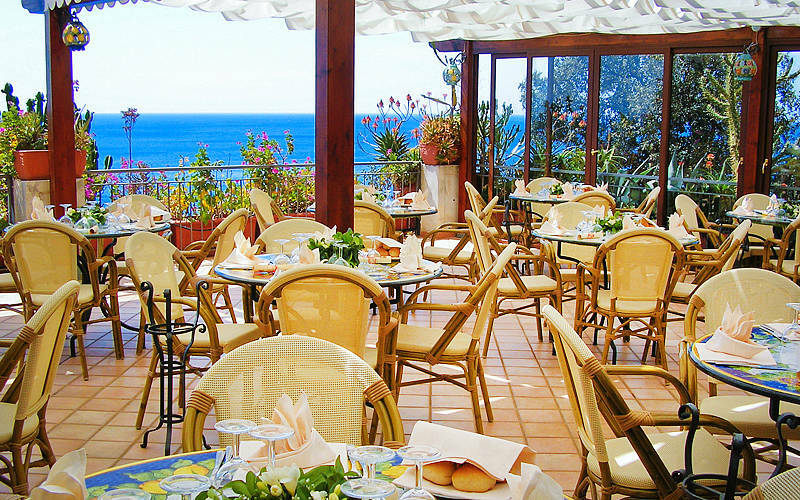 Wine lovers are likely to make regular visits to Conca Azzurra's cellar during their stay to participate in the hotel's sommelier hosted tastings of prestigious local and Italian wines. 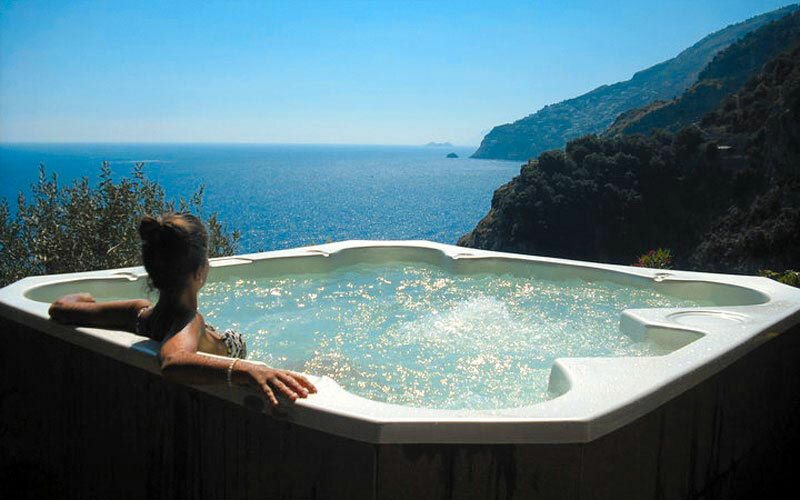 In the last 30 days 77 people have visited this page. 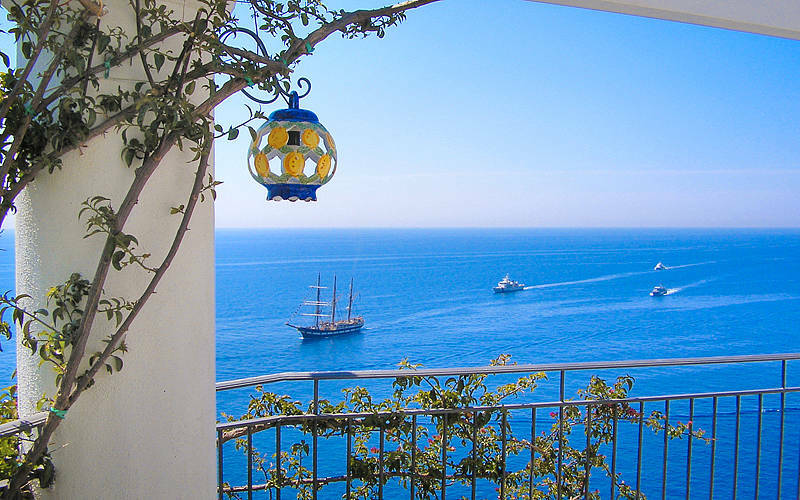 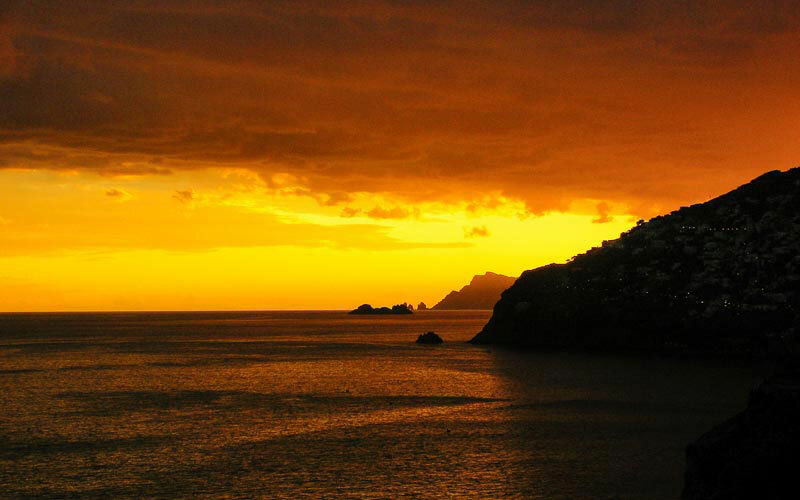 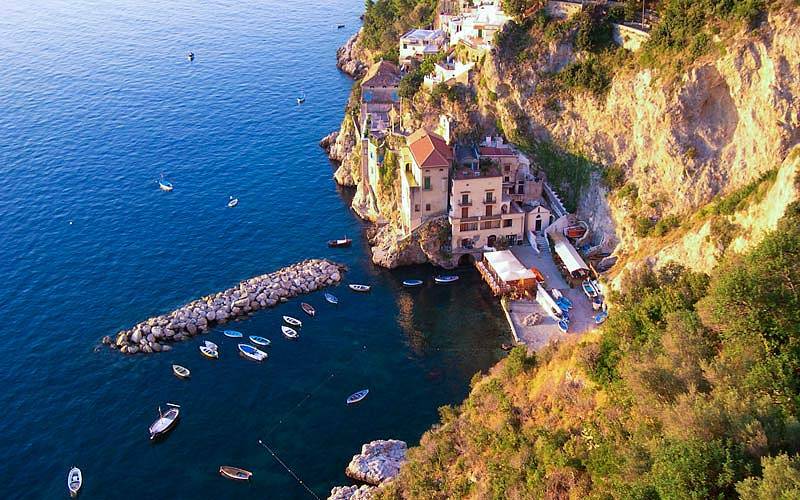 Hotel La Conca Azzurra is located in the bay of Conca dei Marini, an enchanting fishing village halfway between Positano and Amalfi. 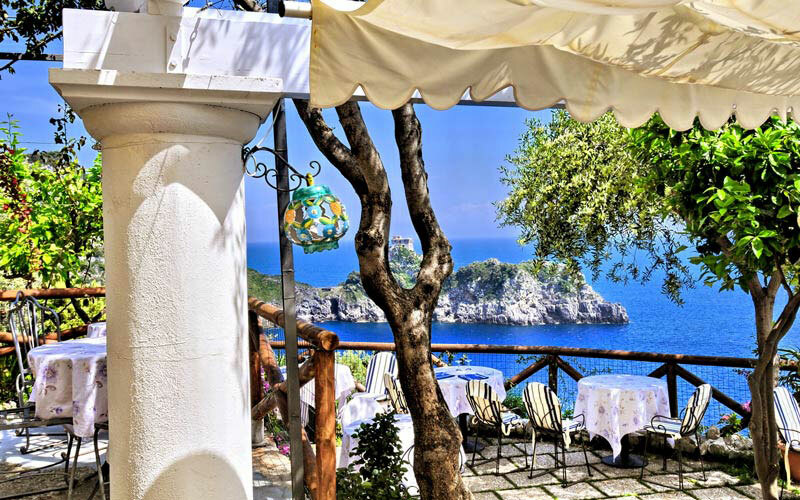 In the heart of the Amalfi Coast, and just minutes away from the nearby Positano, Amalfi, Furore and Praiano, the hotel lies within easy driving distance of other fascinating towns such as Atrani, Ravello, Maiori and Minori. 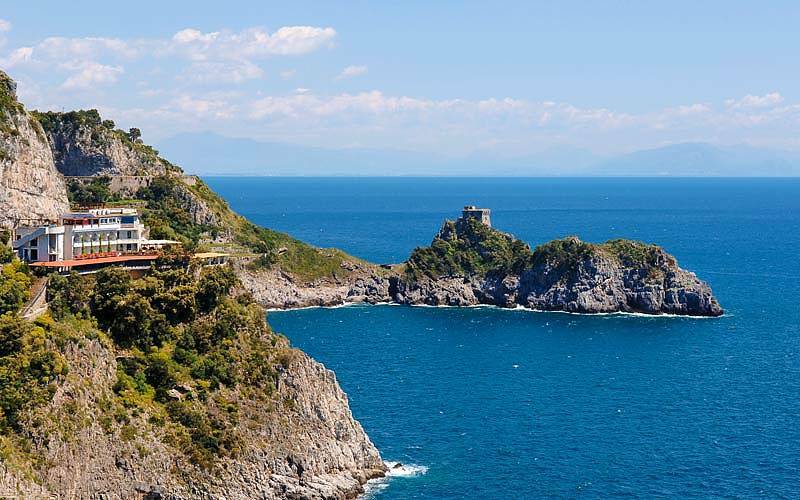 With its beautiful land and seascapes, the Amalfi Coast is home to any number of panoramic coastal paths and ancient footpaths through the Lattari mountains and a string of secluded bays and sun-kissed beaches. 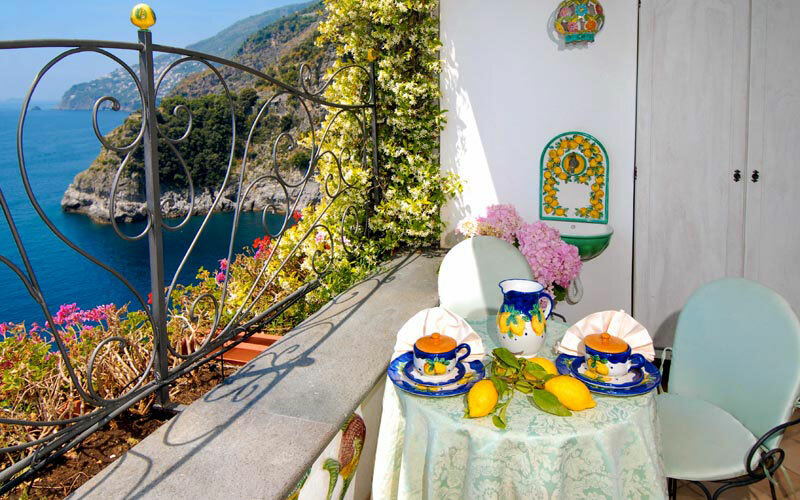 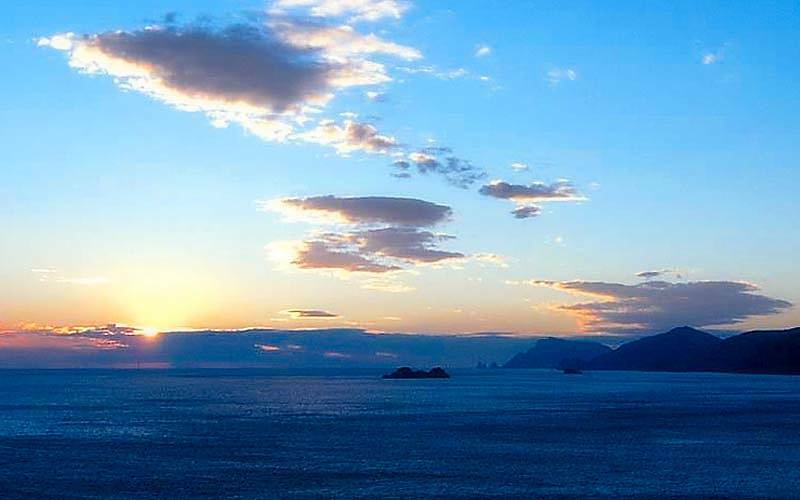 For the beauty and centrality that the Amalfi Coast. 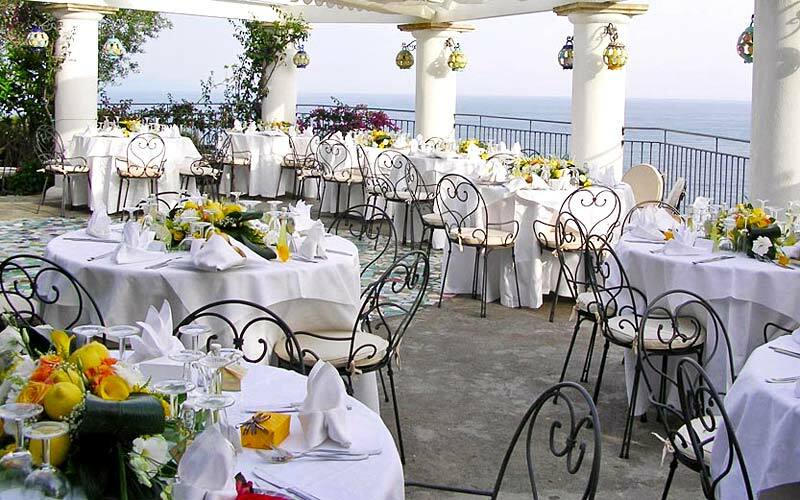 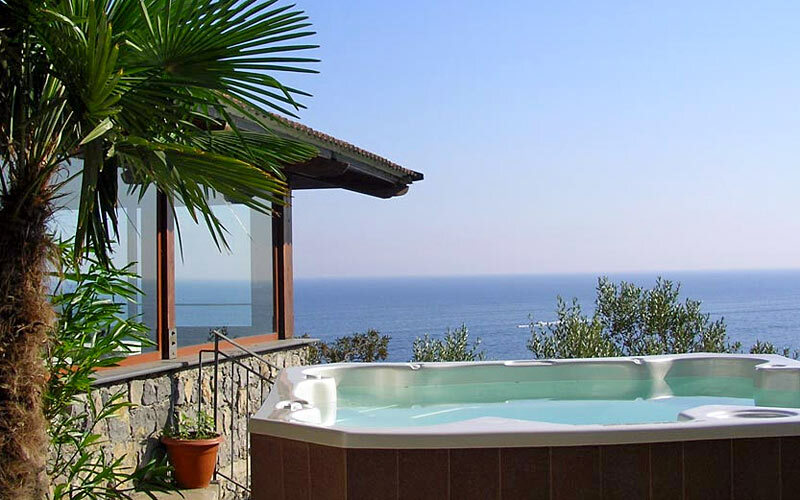 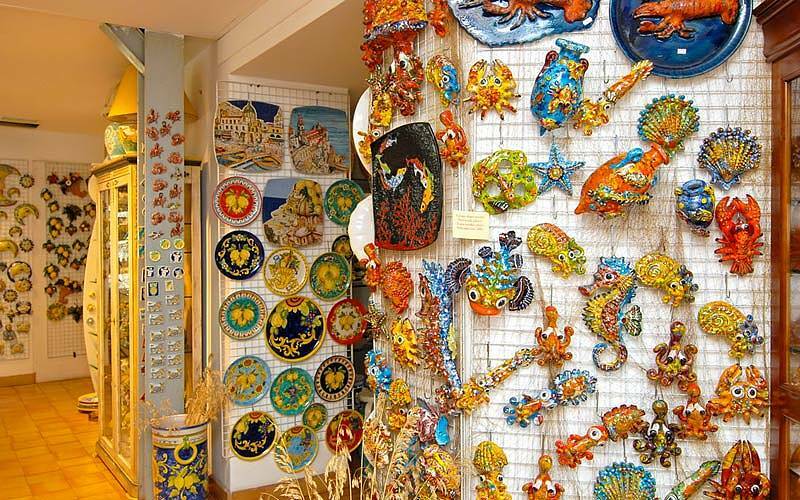 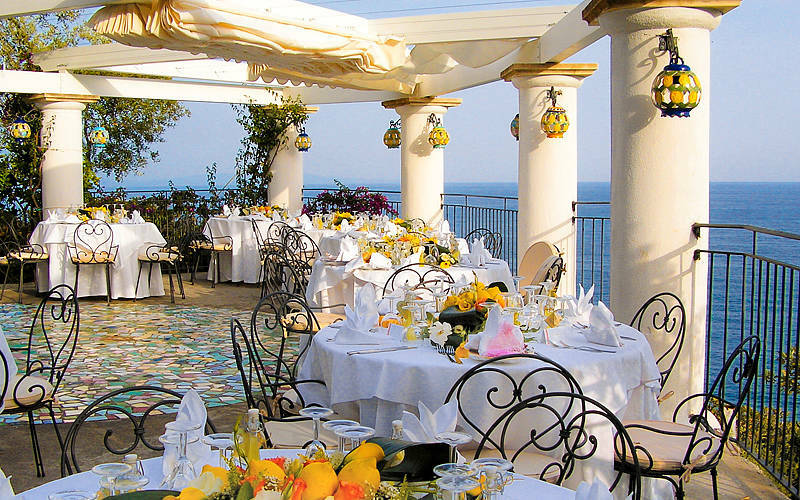 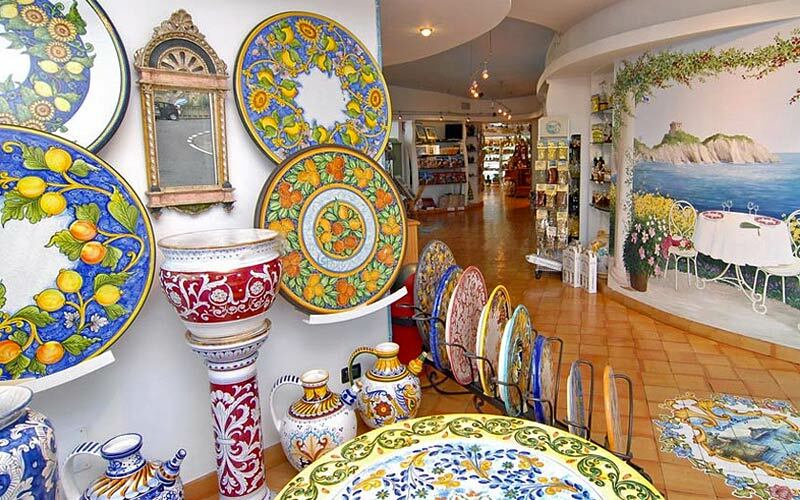 From here you can reach every place of interest such as Ravello, Positano, Amalfi, Capri, Pompei, Sorrento. 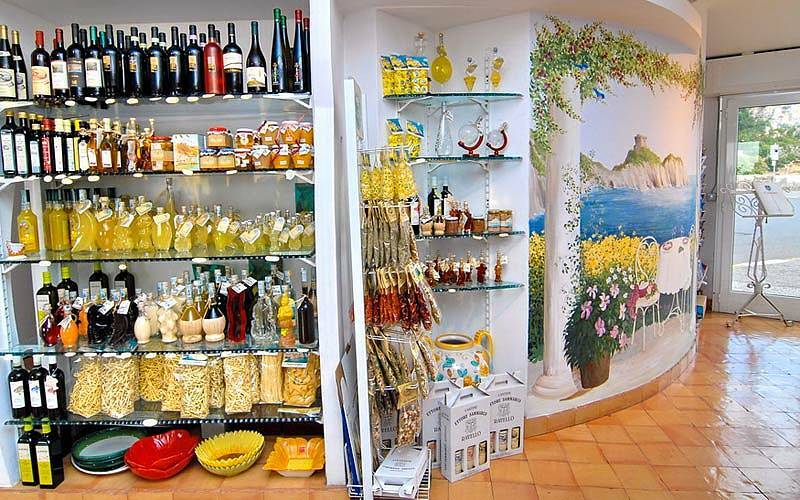 For the good traditions of Mediterranean cuisine. 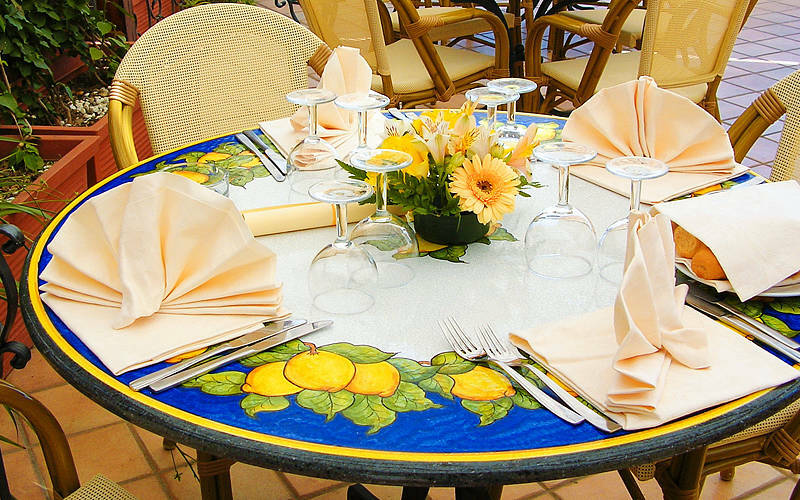 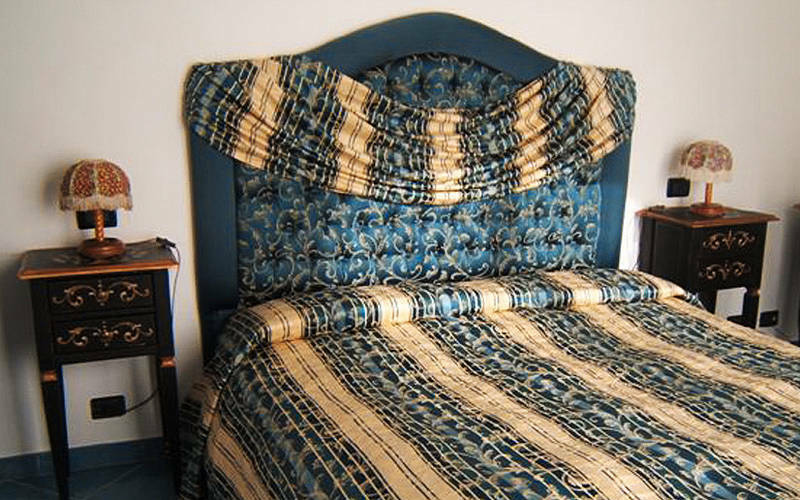 "Staff members were so friendly and courteous and always willing to help. 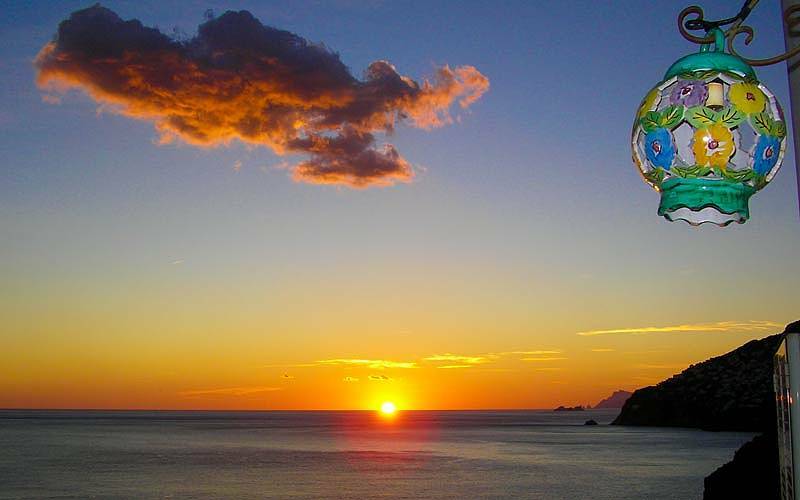 Great experience."